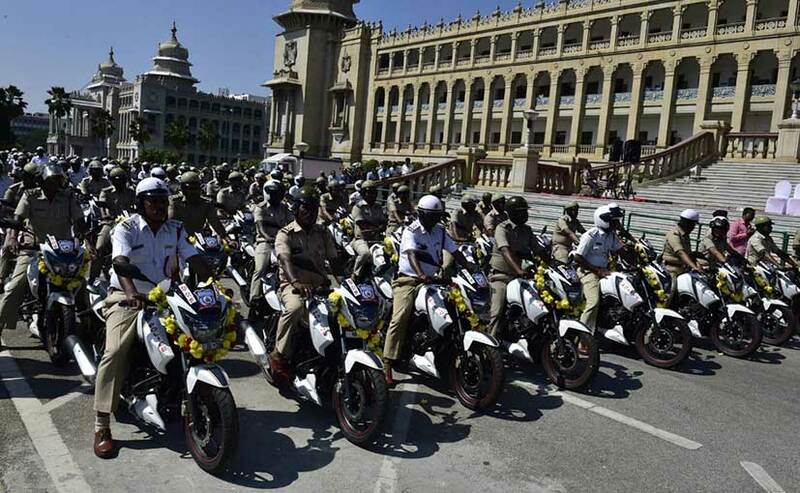 The Bengaluru City Police has received a fleet of 911 new bikes of the older generation TVS Apache RTR 160, which reportedly cost the exchequer a total of Rs. 7.11 crore. 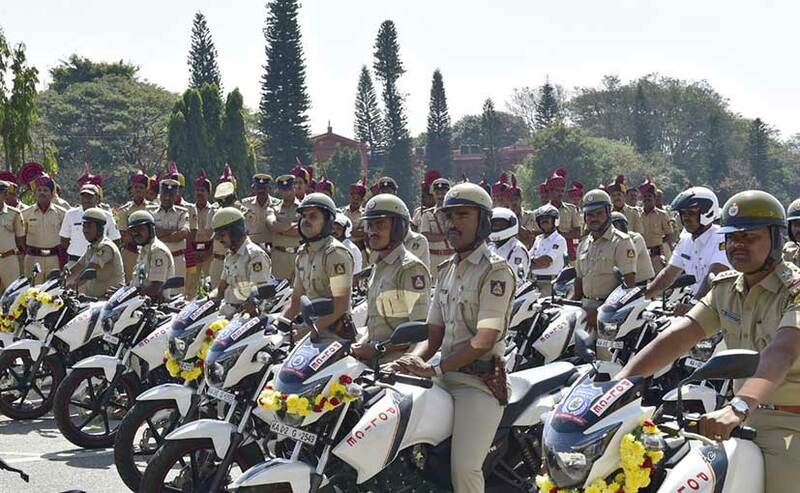 The Karnataka government has added 911 motorcycles to the Bengaluru City Police fleet in a bid to improve patrolling and keep a tab on criminal activities around the state capital. The state government presented the bikes to the police officials earlier this week. The 911 new bikes are the older generation TVS Apache RTR 160, which reportedly cost the exchequer a total of ₹ 7.11 crore. The patrolling bikes will join the 272 units of the previous generation Maruti Suzuki Ertiga MPVs that are already being used as Hoysala vehicles in the city. With Bengaluru's infamous traffic woes and road conditions, bikes are certainly going to help the police report to crime scenes faster. 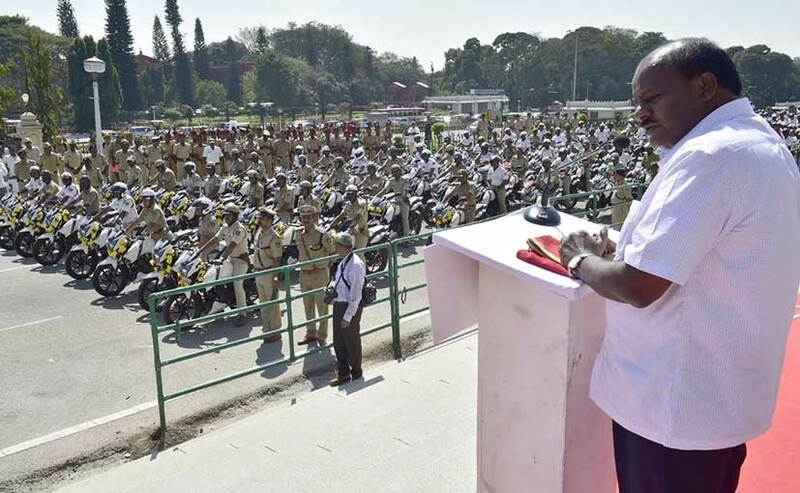 Speaking at the event, The News Minute quoted Chief Minister saying, "I hope the bikes will help the police in operating swiftly and will enhance their response to distress calls and chasing criminals, especially chain-snatchers. For the police to perform their duties, there should be good infrastructure and facilities to support them. Many reports have been submitted in request of some development for the police department. Therefore, as a new year gift, 911 motorbikes were given to them so that they can reach the scene of the crime on time and also avoid small incidents from turning into a big law and order situation." The new TVS Apache RTR 160s will be distributed between 108 local jurisdictional police stations, 44 traffic police stations and two women police station departments including the City Armed Reserve and the Intelligence Division. Police stations with larger jurisdictions will be allotted six bikes, while the medium sized ones will get five each. Police stations with smaller jurisdictions will get four patrolling motorcycles. The new TVS Apache RTR 160s replace the Bajaj Pulsar motorcycles that served in the Bengaluru Police fleet for 16 years now. Compared to the yellow and blue paint scheme on the Pulsars, the Apaches get a while paint scheme with the usual badges and decals for police vehicles. In terms of mechanicals, the older TVS Apache RTR 160 draws power from a 159.7 cc single-cylinder engine tuned for 15 bhp and 13 Nm of peak torque, while paired with a 5-speed gearbox. With respect to modifications, the bikes have been retrofitted with sirens, microphones, walkie-talkies and other components.